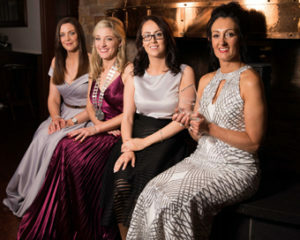 Network Ireland Cork Branch recently announced the winners of the Cork Businesswoman of the year Awards in the Fota Island Resort. 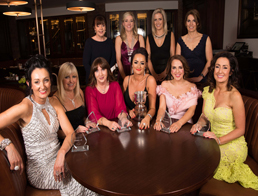 Six individual awards were presented to outstanding female business leaders in Cork at the gala ceremony in their respective categories. 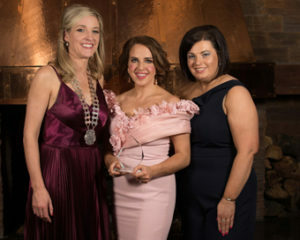 Irene Twohig of Educogym was crowned overall Cork Businesswoman of the Year 2018, with the judges commending her entrepreneurial spirit, passion for the business and willingness to take risks. Maureen Forrest of HOPE Foundation also received a special recognition on the evening which recognised her hard work and dedication to the charity over the past 20 years. Today the foundation runs over 60 projects including 11 protection homes, a life skills training unit, cafe and a hospital. Winners in each category will now go forward to represent Cork in the Network Ireland National Business Awards, which will take place at a gala ceremony later this year. Speaking on the announcement of the winners, Network Cork President, Karen Fleming said: “The Cork Businesswoman of the Year Awards celebrate the exceptional achievements of women in business across Cork city and county. Both winners and finalists deserved to be recognised for outstanding contributions to their respective industries and companies”. 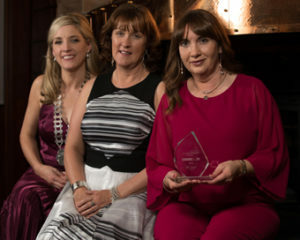 President of Network Cork Karen Fleming, Hayfield Manor Hotel and Barbara Nugent, Transilient Coaching with Maria Desmond, Enable Ireland who was the winner of the Best Employee Award sponsored by EQ.ie at the Network Cork Business Women of the Year Awards in the Fota Resort. Sponsors of the Emerging New Business Award Helena O’Brien and Tara Thornton, Montenotte Hotel with President of Network Cork Karen Fleming, Hayfield Manor Hotel with Winner of the Emerging New Business Karen O’Reilly, Employmum at the Network Cork Business Women of the Year Awards in the Fota Resort. Irene Twohig, EducoGym who was the winner of Large SME and Overall Award sponsored by the Hayfield Collection at the Network Cork Business Women of the Year Awards in the Fota Resort. 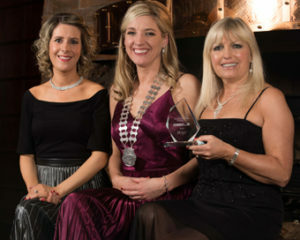 Finola Twomey, Fota Island Hotel and President of Network Cork Karen Fleming, Hayfield Manor Hotel with Fiona Kennedy, Fiona Kennedy Music who was winner of Arts Award sponsored by the Fota Collection at the Network Cork Business Women of the Year Awards in the Fota Resort. Karen Goodliffe, HerMoney, President of Network Cork Karen Fleming, Hayfield Manor Hotel with Shirley Feeney, Shirleys Beauty Clinic who was the winner of the Small SME Award sponsored by HerMoney at the Network Cork Business Women of the Year Awards in the Fota Resort. 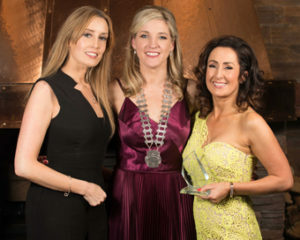 President of Network Cork Karen Fleming, Hayfield Manor Hotel and Donna Manion, Clayton Hotel with Joan Walsh, Partnership International with was the winner of the Best Digital Award sponsored by the Clayton Hotel at the Network Cork Business Women of the Year Awards in the Fota Resort.